What can be said about Jackie that hasn’t been said before? 1911 will best be remembered as his 100th movie and over the years we have witnessed plenty of highs, and more than a few lows (much of his Hollywood output in fact). His contribution to action cinema, however, is undeniable. Police Story is often considered his best (even though Police Story 3 gives it a good run for its money) and Project A is another personal favourite of mine. Chan’s success in the 80’s is beyond comparison, and even though he’s had plenty of hits since, he seemed to reach his peak alongside long time companions Sammo Hung and Yuen Biao. Time catches up with us all of course and in recent years he has moved into more dramatic territory. I doubt very much that film studios these days would let him get away with the death defying stunts of yesteryear, even though the twinkle in his eye suggests he’d probably still give it a go. This is after all the man who once said, “While making Supercop I dislocated my cheekbone. I didn’t even know you could do that”. If you haven’t already caught him in Little Big Soldier you should immediately; it’s a wonderful movie that captures the spirit of Jackie both young and old. Someday soon Jackie will hang up his fighting boots for good, but his cinematic legacy is sure to stand the test of time. 2011 doesn’t just mark the making of Jackie’s 100th movie, because by some quirky twist of fate it also marks the 100th anniversary of the Xinhai Revolution, an important turning point in contemporary Chinese history. Not only does Chan star as Huang Xing, the man who led forces during the revolution, but he also acts as chief director (Li Zhang’s name is on the credits but the part he played is questionable). 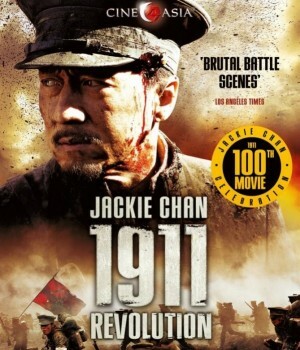 Covering the events of 1911 (drowning in uprisings, rebellions, revolutions and anything else you can think of beginning with ‘R’), 1911 Revolution is probably one of Chan's most important films. Co-starring Winston Chao, Jiang Wu and some young upstart called Jaycee Chan, 1911 is available in the U.K. courtesy of CineAsia. Huang Xing (Chan) was a fearless resistance leader who opposed a 20,000-strong Imperial Army during the 1908 Guang Xi Uprising with 200 men. So far so 300, with less men, less slow-mo, and a little more colour obviously. Now, as military commander to legendary revolutionary leader, Sun Yat-sen (Winston Chao), he must lead a vastly outnumbered army against Royal Forces in a battle that’s destined to change the course of history. In all honesty, the plot of 1911 reads much like any other war epic, but I guess that’s history for you, full of brave men and women overcoming the odds in a battle for survival. Had this been an 80’s Chan movie, we could’ve expected comedy interludes and mesmerising stunt work, but those days are gone for good (kind of), so what can we expect from the new-look Jackie Chan? Not an awful lot on the evidence of 1911. Things start badly and in truth, Chan’s latest never finds its feet. There’s too much ground to cover in the opening act, which the filmmakers combat by filling the screen with continuous reams of text. It’s an unwanted intrusion that might seem necessary from a historical standpoint, but in reality it gets in the way of a good yarn. 1911 jumps around all over the place, introducing characters that fail to make an impact, with names you’ll barely remember. Western actors ruin the flow as well, with unconvincing performances and hammy dialogue that hinder rather than help. Quite why Eastern filmmakers continue to hire low-rent Western support is beyond me; this is a Jackie Chan picture after all. The emotional content is handled badly too, with 1911 pushing the patriotic button at every turn and coming across as awkward in the process. 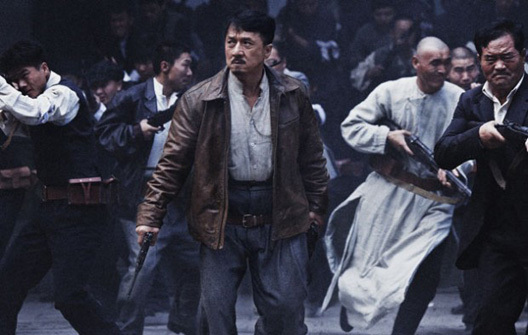 1911 has high production values and solid action sequences, but they start to look the same after a while and there’s not an ounce of originality in any of them. A few of the characters make an impact (Jaycee Chan and Dennis To are standouts) but memorable moments are few and far between. There are better historical epics out there, and Jackie’s 100th movie should’ve been so much more, but 1911 is a mediocre movie with little to recommend beyond its ageing star. Not to worry though, Jackie hasn’t hung up his fighting boots just yet, so we can still look forward to movie 101. Even if 1911 is easily forgotten, one statement still reads loud and clear. Jackie Chan: Actor. Musician. Cartoon character. Legend.